Could ancient lake restore peace to Darfur? 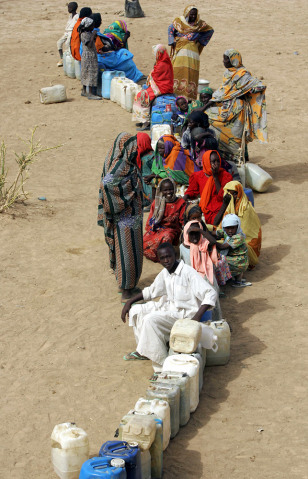 Sudanese refugees from the Darfur region wait for UNHCR water distribution. Researchers hope an ancient lake found in the region will supply much-needed water and help ease tensions.